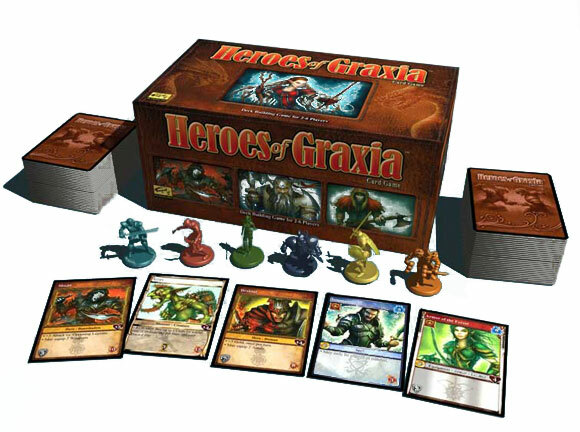 Heroes of Graxia contains dozens of unique cards, as well as miniatures in a non-CCG deck-building theme. Obtain for your deck the best Weapons, Armor, Spells, Armies, Henchmen, and Mercenary cards. Conquer enemies by playing these cards on a gameplay table in a sequence of turns with other players. Add a Review for "Heroes of Graxia"